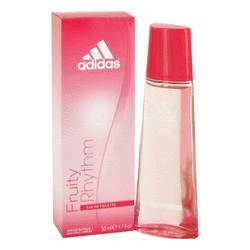 Adidas Fruity Rhythm Perfume by Adidas, Adidas Fruity Rhythm, from Adidas, is a floral, fruity fragrance designed for the active woman . 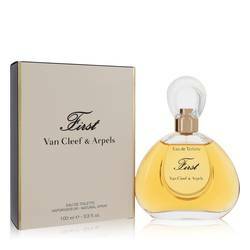 Perfect for wearing all year round, this dynamic scent really struts its stuff during the energetic days of spring and summer. This outgoing fragrance launched in 2008 and works best during daytime outings, no matter where they take you. A moderate longevity means you don’t have to worry about this vibrant scent failing you when you need it most, and a moderate Read More Read More sillage ensures you pull in closer the ones you want to notice you. 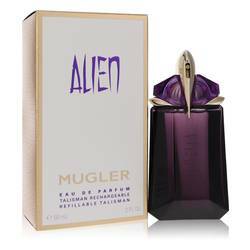 Top notes include raspberry and black currant. Heart notes are freesia and cyclamen. The base note is aromatic musk. The powerhouse athletics brand of Adidas teamed with Coty to launch a new fragrance line in 1985. 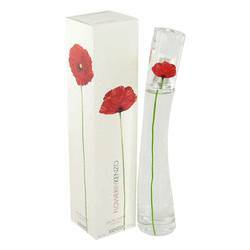 Since that time, the company has expanded this initial offering into a catalog of men and women fragrances and body care products available the world over. 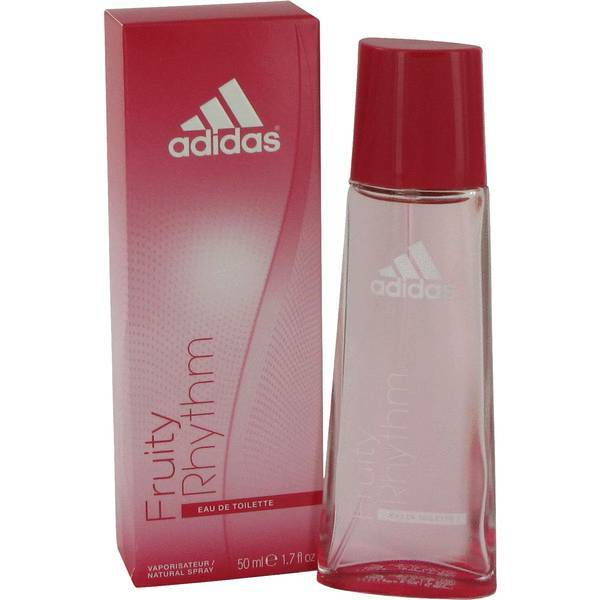 Adidas Fruity Rhythm is a great addition to their adventurous scent catalog. All products are original, authentic name brands. We do not sell knockoffs or imitations.